SEOUL, South Korea--(BUSINESS WIRE)--Hyundai MOBIS (KRX:012330) showcased the latest Communication Lighting concept at CES® in January 2019. Communication Lighting uses an “Indicating Lighting Zone” to indicate when an autonomous vehicle is operating in self-driving mode. The concept also includes a “Communication Lighting Zone” that uses LED, digital boards, headlamp projection and sound to communicate with nearby pedestrians and vehicles during various driving scenarios—ensuring safer cohabitation. Hyundai MOBIS developed the concept to reduce the number of accidents related to the development and testing of autonomous vehicle technology, such as the fatal accident that occurred in mid-March 2018 involving an autonomous test car and a woman walking across the street. Autonomous vehicles outfitted with Communication Lighting can detect a pedestrian from more than 450 feet away. Upon detection, headlamps being projecting a bright red warning symbol indicating that is unsafe to motion across the self-driving vehicle. When the vehicle reaches a complete stop, headlamps project a crosswalk symbol onto the ground to indicate to nearby pedestrians that it is safe to proceed. As pedestrians clear the path of the vehicle, LED boards begin signaling when the vehicle is about to resume motion by counting down—similar to traditional crossing signs used today—while showing directional arrows that indicate the direction the vehicle intends to move. Communication Lighting can integrate with MOBIS’ Advanced Driver Assist Systems (ADAS) enabled Adaptive Drive Beam (ABD) technology, or AADB—a headlamp innovation announced earlier this year. The integrated solution offers a more responsive self-dimming headlamp due to increased object detection and processing capabilities, with vehicle-to-vehicle, and vehicle-to-pedestrian interaction. As OEMs, suppliers and technology companies race to bring higher levels of autonomy to market, the conversation continues to be centered around the safety, complexity, infrastructure and governance required for full autonomy. Because Communication Lighting is solely focused on using intelligent lighting solutions to save lives the solution could be introduced in new vehicles across OEMs much more quickly and cost effectively. In addition to the Communication Lighting Experience Zone, Hyundai MOBIS is showcasing new technologies in autonomous driving, infotainment and eco-friendly solutions at CES® 2019 at Booth 3931 in the North Hall of the Las Vegas Convention and World Trade Center. 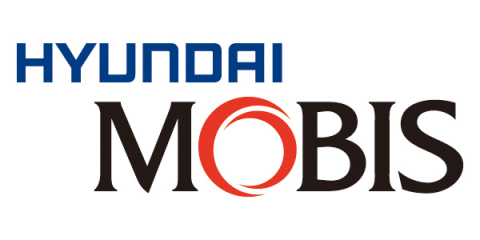 Hyundai MOBIS currently employs over 30,000 people. Manufacturing operations are in over 30 locations in 10 countries, including Korea, China, Germany, India, as well as four manufacturing sites in the U.S. located in Alabama, Georgia, Detroit and Toledo, and a Technical Center near Detroit. Products include automotive modules (chassis, cockpit and front-end), brakes, suspensions, airbags, lamps, and automotive electronics. R&D headquarters are in Korea with 4 technical centers worldwide, Germany, China, India, and the U.S.
Hyundai MOBIS has mass-produced a great number of ADAS technologies and green car components. For more information, please visit the website at http://mobis.co.kr. Hyundai MOBIS lights a path to reducing accidents involving autonomous vehicles with its latest Communication Lighting technology.